Do you hear that sound? listen carefully…that’s the sound of your heart racing and your mind going crazy in anticipation of The Pick Of The Week!That’s right the P.O.W for January 19th 2011.Join Simon,Ian,Ken, and me (Sheldon) for what can only be described as a comic hoe down of epic proportions! 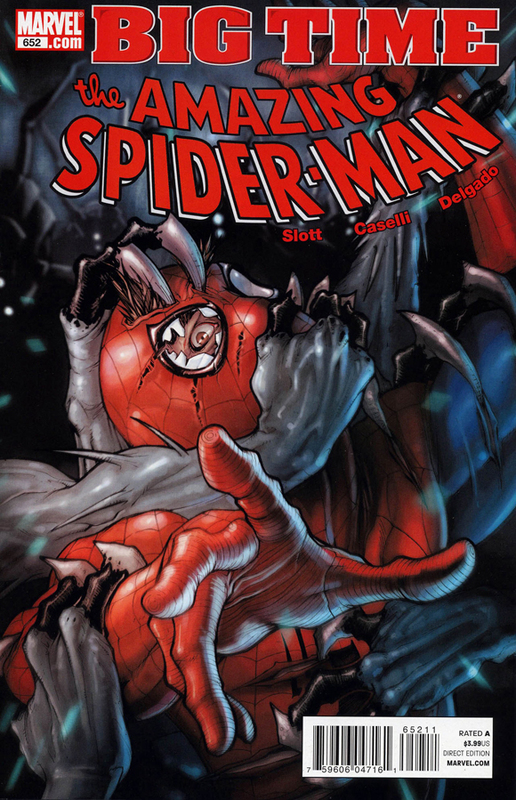 Sheldon had the pick this week and it looks like he choose wisely as every one voted that The Amazing Spider-man # 652 should have the honors this week with such a continued great story by Dan Slott and Amazing art work by Stefano Caselli this book is not to be over looked!Also what a great cover for this book! The gang also talks a bit about Invincible Ironman# 500 (which was a close 2nd I will have you know),Batman#706, Superior#4, Scarlet#4, and Wolverine#5 and more. All this and we learn that Ian is a Spider-man card toting fan boy who loves to pick fights with the “Keep it Organic” Spider-man club online.Was there any clear winner? Have a listen to find out!.